Why Do Monarch Butterflies Form Roosts During Fall Migration? Scientists have many questions about where, how, and why monarchs form roosts during fall migration. Find out what is known about overnight roosts and explore the many mysteries that remain. 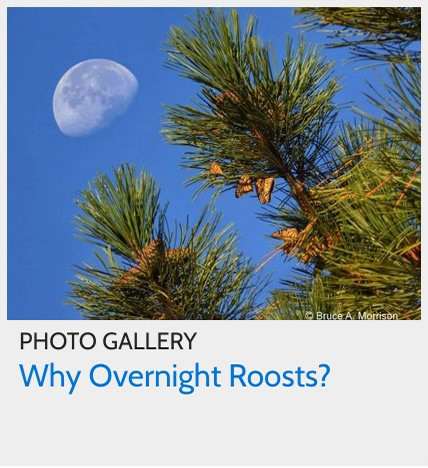 What can we learn about fall migration by studying overnight roosts?